The iCharge it Portfolio is an innovative portfolio tablet case combining stylish design with everyday all-in one functionality. Available for both iPad and iPad 2. 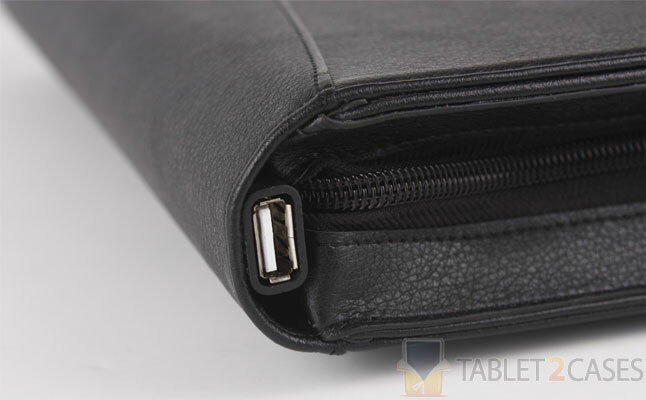 Close it up via high quality zipper , keeping the tablet safe and sound within the portfolio protected from bumps and bruises. 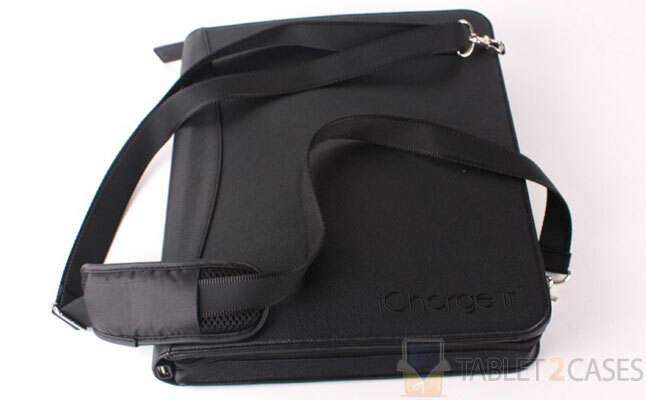 The most interesting feature of this Apple iPad case is the built-in connectors both your tablet and iPhone, which can be connected to the portfolio’s power cable and subsequently into the standard Apple AC USB adapter for charging. 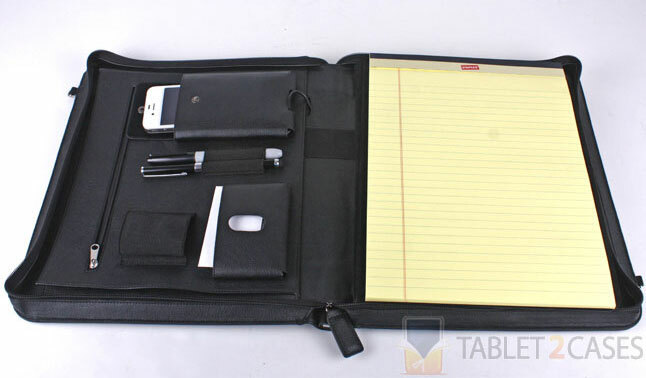 The new case also comes with a multitude of pockets, pen holders and even a separate notepad to scribble down your most important thoughts. 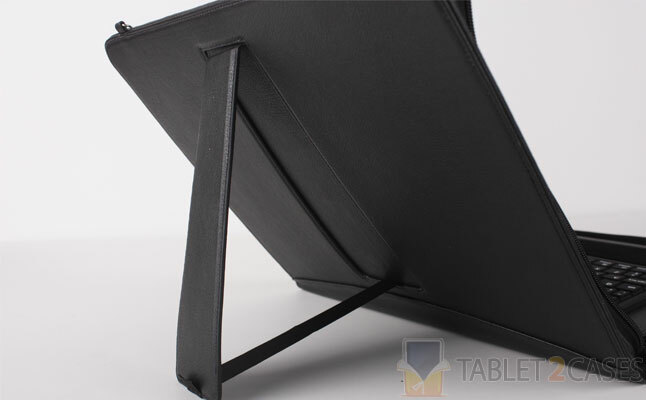 Another feature of the iCharge It is the Bluetooth Wireless keyboard including designated Apple iPad 2 buttons. The keyboard can also be charged via the built-in connector. 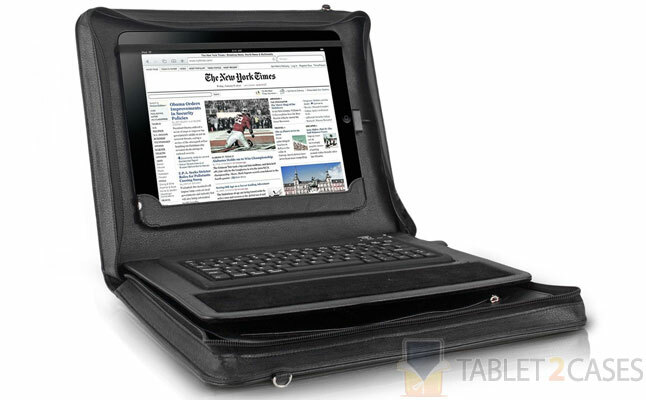 An adjustable and removable shoulder strap offers a comfy way to carry this Apple iPad 2 case.